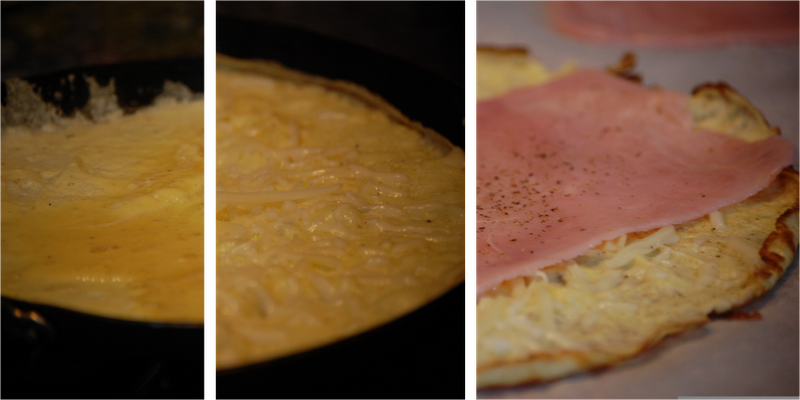 The Cooking Blog of Emilie French Chef: Cheese & Ham Omelettes ... a warm Appetizer for a rainy Day !! Cheese & Ham Omelettes ... a warm Appetizer for a rainy Day !! When you have friends coming home and you want to prepare a quick Appetizer for them, you might need some quick recipes ! Eh eh eh, I get the answer : your friends will die for this rolled Ham & Cheese Omelettes !! You only need 3 simple ingredients for this recipe: Ham, Cheese and fresh Eggs. 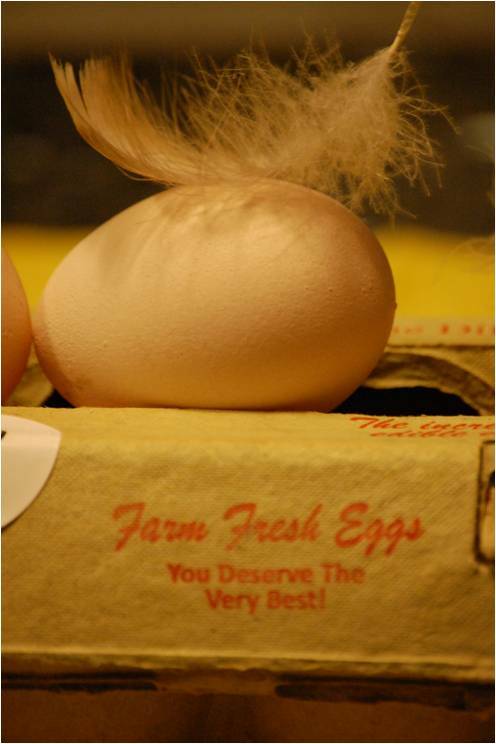 If you have the chance to have fresh Eggs from your local Farm, your Omelette will be even better, but supra fresh organic Eggs are good too !!! Now you can run in your kitchen. In 20mn, you'll get a piece of paradise in your mouth !!! Prepare a sheet of Parchment Paper on your table or counter top. In a bowl, beat together the Eggs, Cream and Salt & Pepper. Heat a 8" to 10" non stick pan and add the Butter. Keep the burner on medium heat until the Butter gets a light brown color (the Butter should not smoke or burn !! In that case, clean your pan and start again). Pour half of the Egg mixture into the pan and move the pan to make sure you have some Omelette everywhere in your pan - no gaps !! - it's like if you wanted to make a thin Crepe. Don't stir/touch/move the omelette, just look at it ! After 30-45 seconds, when the border is almost cooked, put half of the Cheese on the Omelette and wait 30-45 seconds more. As soon as you put the Cheese, slide a thin spatula under the edges of the Omelette to make sure it is not stuck on the pan. When you see a nice brown color under the Omelette, slide it (use the spatula to help you) over the parchment paper. Wait a few seconds and add put 1/2 slice of Ham over the Cheese. Roll the omelette and slice it in small pieces. Do the same for the 2nd Omelette. Serve warm. You can sprinkle some chopped chives or parsley on the top if you want some green color ! Note : if you prefer to make your omelette ahead of time, you can cook it 1h before and keep the all roll at room temperature. Just reheat in the microwave and slice it. I would like to ask you to recommend other resources dedicated to this subject of course in case you happen to know any. Apple & Pear Season ... Let's bake Muffins ! !